Trying to anticipate what things will look like on November 6th, what are some things that are going to happen between now and then? We have about 105 days. Confirmation hearings for Supreme Court nominee Kavanaugh (late August to September). Ongoing Mueller Special Counsel investigation. Further FBI Inspector General report. Are there other potentially significant things that are going to happen or have a significant chance of happening between now and then? Much has been made of how Donald Trump received fewer votes than Hillary Clinton in the 2016 presidential election, with some calling into question the legitimacy of his government because he didn’t receive the majority of support of voters. Specifically, he got 45.93%. That’s an interesting argument, and especially so where I live, as the federal government in Canada has a majority of seats but received less, at 39.47% of the vote. So, according to this argument, Trudeau’s government has less legitimacy than Trump’s. I think these sorts of post hoc arguments aren’t very persuasive. The Trudeau government campaigned in a system with specific rules which allow for parties with less than a majority vote (and sometimes not even the most votes) to form a majority government. Similarly, Trump’s strategy was based on the specific rules of the U.S.’s electoral college system. If there’s a problem, it’s at a higher level, in terms of electoral reform. Having said that, one thing that’s interesting about the Trump-Clinton 2016 election is that Clinton didn’t get a majority, either. Rather, she received 48.02% of the vote. A majority of voters didn’t vote for her, either. So, which candidate would the majority of voters have preferred, if they could transfer their vote with ranked choice? If you add up Trump, Johnson (Libertarians tend to be closer to Republicans than Democrats), and McMullin (closer to the Republican party than Democratic), you get 49.73%. If you add up Clinton and Stein (Greens tend to be closer to Democrats than Republicans), you get 49.08%. The remainder is various write-in ballots. So, the right-wing bloc was larger than the left-wing bloc. If the U.S. had direct popular vote with ranked choice and instant run-off, which candidate would have won? The answer is: we don’t know. Some of the people who voted for one of the smaller percentage candidates might not have ranked another candidate. For example, many people who voted Green might have done so because they excluded all the other options. Similarly, although McMullin was a protest candidate against Trump, it’s not clear how many people who voted for him would have supported Trump next. Similarly with Libertarians. In 2016, Republicans won 1.1% more of the vote in House elections than Democrats (49.1% to 48%). 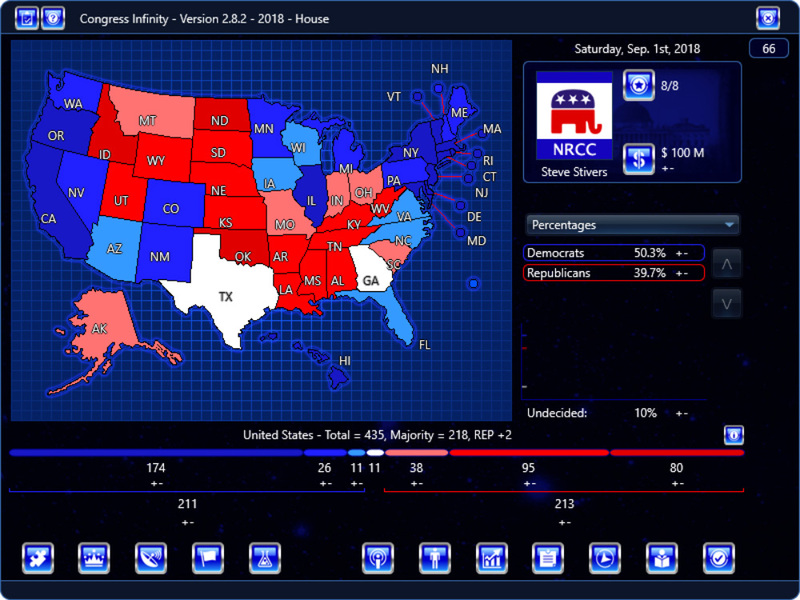 As you would expect, because they won a majority of the two party vote, Republicans won a majority of seats. The 2016 House elections results were 241 Republican to 194 seats. Typically, in the House the incumbent party does worse in the mid-terms than in the Presidential cycle. So, if Democrats win a majority of the vote in the House elections, will they win a majority of seats? If it’s by a small margin, almost certainly not. Here, you can see what happens if you apply a universal percentage point shift in favor of Democrats, using the 2016 results as a starting point, such that the Democrats win the vote by about 10 percentage points – more precisely, if they increase their percentage by 6.5 percentage points compared to the 2016 results, such that they get about 56% of the two party vote instead of the 49.4% of the two party vote they got in 2016. It is only at this point that the seats are almost even. Even here, though, Republicans hold a slight advantage in seats. So, applying a straightforward, universal shift in percentages, the Democrats need to do even better than this to win the House. So, although polling gives a strong advantage to Democrats right now on the national level for the House, if that holds, it still might not mean a majority of seats for Democrats. I have noted how difficult the terrain is for Democrats in the Senate here. For the Senate, Democrats have to win approximately 100% of competitive seats with Republican incumbents, and lose 0% of their own, to take a working majority in the Senate. So, although the best way to put a brake on Trump’s executive agenda for the Democrats would be to win either the Senate or House, the Democrats have structural challenges inherent in both of those this cycle. My guess is that winning the House is more plausible, and Democrats should focus more of their efforts there. The problem, of course, is that means focusing on a lot more of individual elections. This is very dangerous rhetoric – she’s calling for mobs to harass Cabinet members. What if Republican mobs start harassing Maxine Waters every time she shows up in public? How is this all going to work out? The current polarized state of debate in the U.S. (I sample media from various sources, both left and right) is in large part due to the fractured media landscape. Because you can have a ‘Republican’ cable news network (Fox News) and a ‘Democratic’ cable news network (MSNBC), because you can listen to an echo chamber on Twitter, and so on, you have more and more people buying into hyper-partisan rhetoric, getting highly distorted views of events, and so on. Please people, start listening to the ‘other side’. Politics is supposed to be a safer way to channel our tribal psychological mechanisms. But when politics starts to descend into rhetoric that leads to attempted assassinations (such as of House Whip Steve Scalise) or mobs harassing Cabinet members, it has become a monster. If this keeps up, the trajectory is that you’re not going to have a country anymore, rather you’re going to have a Civil War. To those who think Trump is a monster, and that he started this trajectory, the below quote is apropos. VCCzar has posted a Presidential Ranker spreadsheet, which is fun for getting an idea of how you would rank all the Presidents in the U.S.’s history, here. If someone has technical expertise in web apps, or wants to gain some experience for their portfolio, helping VCCzar make this into a web app sounds like a good project – you can contact him on the forum at the link above. The Canadian government is currently looking at electoral reform. I would recommend three major changes. Introduce a ranked-vote, similar to the Australian system. This allows for greater expression of preference by a voter, without multiple rounds of voters going to the polls. This is also completely compatible with the existing system of local, ridings-based (constituencies or districts in other countries) representatives, which I think is much better than party-selected lists which are sometimes used for PR elections. We also have a very good idea of how this ranked-vote system would work, because Australia (which also has a system based on the Westminster style Parliament) has already done it, and for some time. 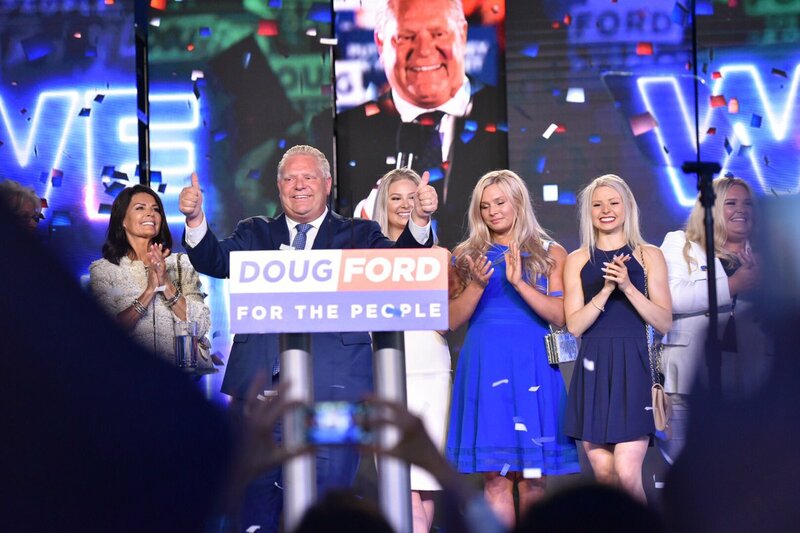 The only difference in the mechanics of voting from the current Canadian system would be that the voter could rank his preferred candidates 1, 2, and so on up to whatever number he would like, instead of casting a vote for just one candidate (although he can do that as well). How does it work? After counting up the votes using the ‘1’ preferences, if no one has more than 50%, then the candidate with the lowest % is removed, and the votes for that candidate are reapportioned based on those voters’ ‘2’ preferences. The ballots continue to be reapportioned until someone has > 50%. For example, let’s say there is a riding with a Green candidate, NDP candidate, and Liberal candidate. The voter can then rank Green as 1 and NDP as 2. Let’s say it’s Liberal 45%, NDP 45%, Green 10% after counting ‘1’ preferences. The Green candidate is then eliminated, and in this case our voter’s vote goes to the candidate he ranked as ‘2’, which would be the NDP. Hence, his voting for the Green candidate isn’t taking away from the NDP candidate winning the riding. I would dramatically reduce the number of representatives in Parliament. I would aim for about 100 representatives, which would be one per about 350,000 people. This is simply because having much more than that reduces the impact and visibility of people in a Parliament to the point where (beyond ministers) it’s largely just a crowd, not individuals whose individual votes tend to matter. Compare the U.S. Senate (100) with the U.S. House (435), and how high-profile the members of those two bodies tend to be. 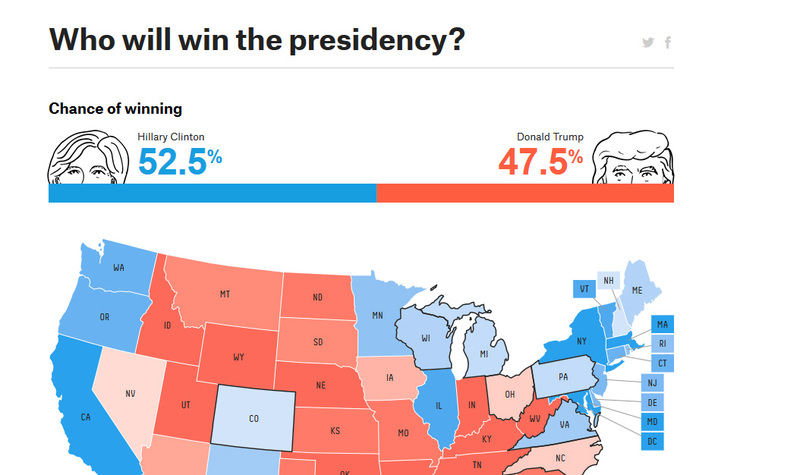 The day of the first Presidential debate, and 538 is scoring the election race almost a tie. Commentary welcome in this thread on the debate, before, during, and after it happens! This is an open thread for comments on the Third Super Tuesday primaries and caucuses.